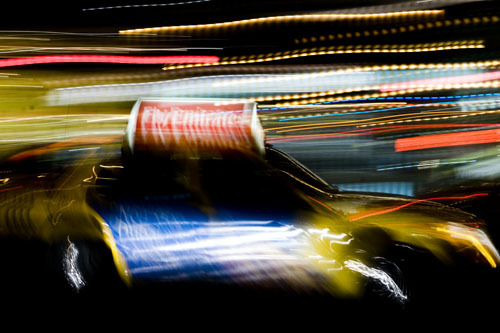 SF Taxi Media: Exploiting Cab Companies And Cab Drivers? Taxi Advisory Council Says 'NO' To Illegal Taxi Brokers. By John Han. Exploiting Cab Companies And Cab Drivers? Taxi Advisory Council Says 'NO' To Illegal Taxi Brokers. By John Han. The Taxi Advisory Council (TAC) passed a motion recommending that the MTA take action to discourage unlawful brokering of vehicle leasing in San Francisco's taxi industry. At its regular Monday, August 8th, 2011 meeting, the TAC voted 14-1 on the item, the lone dissenting vote being council member Tone Lee. The motion was made by De Soto Cab general manager and council member Athan Rebelos. Rebelos' motion targets brokering from the view that a Long Term Lease (LTL) holder, could otherwise act as a "broker" who does not drive the cab and manages multiple arrangements. Long Term Leasing (LTL) in itself is legal in the San Francisco taxi industry. But it is said to be hard for companies and local authorities to regulate the LTL system, and their are anecdotes that those who engage in long term leases don't always play by the rules. For example, state law prohibits taxi drivers from operating a taxicab for more than 10 consecutive hours within a 15 consecutive hour spread (VC 21702(a)). Despite this, some Long Term Lease drivers are said to be allowed to lease a taxicab all daylong on weekends, thus potentially letting drivers go far longer than the state's 10 consecutive hour restriction. Another aspect about Long Term Leases is that it is said to be hard to regulate the 'gate fee' cap. San Francisco prohibits cab companies, or any taxicab lessor, to charge taxi drivers a 'gate fee' above an average of $104.00 per shift. This is to ensure affordability and fairness for drivers. But there is the anecdote that drivers who drive for Long Term Lease holders can be exploited exorbitantly, as much as $150.00 per shift or more by their LTL lessor, thus, far exceeding the gate cap. There are speculations that some drivers are being charged as much as $170.00 for one shift. However, it may be important to point out that this does not necessarily characterize all LTLs. Drivers that I have spoken with who drive for LTL holders often tell met their daily gate fee is about $110.00 per day. Although this technically violates the gate cap, they say they consider it to be fair because they don't have to tip cashiers and gas men. LTL cabs that I've been in have always been clean and well kept. Just this week after Monday's TAC meeting, I was in an LTL cab and was impressed when the driver told me that the car had over 230,000 miles on it, but the interior appeared in like new condition. The driver said he split the cab with an LTL holder and that the two of them take great care in cleaning on a regular basis. By contrast, a typical company gate and gas taxicab with equal mileage often has torn floor carpeting with stains by then, marks over the sides and ceilings, and duct tape to cover the tears on the vinyl seats. But what took me totally by surprise is that this particular LTL driver told me he doesn't mind perhaps being cheated with a $150 gate fee per shift to his holder. That's right! He said he pays $150.00 per shift. Nevertheless, this driver told me he takes home an average of $200.00 a day on 10 hour shifts. I cannot verify the truth of his claims, but that is what he said to me. In general, drivers of LTLs tell me that they enjoy being able to have their cab available for them right away at the time for their shifts. By contrast, taxi drivers paying daily 'gate and gas' fees to cab companies must often wait anywhere from 30 minutes to several hours a day at the company yard before the cashier will issue them a taxicab, usually because the company's cabs may not yet be available. Then, once the drivers get their cabs, they are obliged to tip their cashiers for giving it to them. Therefore, it is important to point out that Monday's near unanimous vote by the TAC was not an attack on legitimate Long Term Lease operations, as drivers in these arrangements tend to prefer them. Monday's vote seems to instead target LTL holders who act as "brokers" that do not necessarily drive their cabs, but manage people who do drive the cabs. Trying to see it from a company's point of view... if an LTL operates in this manner, and local authorities do not impose retribution, then these smaller, more fragmented leasing operations become unfair competition and a threat to larger cab companies that say they are trying to keep their leasing businesses in compliance with regulations, (at least they're trying?). For example, there are claims that some LTL lessors do not provide Workers Compensation for their drivers, as local regulations require. If it is true that some LTLs are not paying for Workers Compensation, then the costs savings could give that "broker" a competitive advantage in their leasing operations over more compliant companies, and at the risk of the safety of their drivers. Rebelos' motion recommends four steps of action. 2) Taxi drivers leasing shifts from a Long Term Lease holder must be provided with information by the MTA explaining the City's regulation on gate fee caps, and must be issued information by the MTA on 'Whistle Blower Protection' rights, should the driver want to report abuses of being overcharged for gate fees. 3) The Long Term Lease holder must comply with the gate fee schedule of whatever color scheme they are leasing. This means that if the color scheme they are leasing from charges $120.00 on Saturday nights and $67.50 on Sunday morning, then the LTL holder must charge his or her drivers $120.00 on Saturday night, $67.50 on Sunday morning, and so on. The charges may not vary from the color scheme's schedule. 4) The MTA must be provided with a copy of the contracts between all relevant parties in a leasing arrangement such as medallion holder to color scheme, medallion holder to driver, LTL to color scheme, LTL to driver, etc., and updated as needed. Excellent coverage of the meeting and a good introduction into the subject. However, I have head that the illegal practices are much more extensive than this article would indicate and that payments as high as $200 a shift are being made. But I really don't know to much about it. I think a good investigation of the matter is yet to be done. You don't, for instance, delve into the issues of people driving without licenses and the potential hazards that this and driving long hours can make to the public. In the meantime, as I said, I think your article is great. The best thing about it is that it saves me the trouble of writing one myself. I'm thinking of winding down my blog. Maybe I can safely leave the field to you - if you show more control of comments. There should be three color schemes only based on three shifts. And all morning cabs should be numbered b/w 1000 and 1999; evening cabs b/w 2000 and 2999; and graveyard cabs b/w 3000 and 3999. Every two years the shift should be rotated, so that all operators do all shifts in a 6 year time period. Informing ALL drivers that gate control is in effect for ALL drivers is a good start. As long as they need the job they will keep quiet but once they don't need the broker and get their huge deposit back many will be only too happy to complain. Of course it will be "he said she said" but a hearing officer can judge the credibility of a witness. I'd like MTA to interview every med. holder under oath and get the low down. Once a few of them get fined or whatever compliance will be easier. MTA will say they don't have time but working over a few likely suspects would work wonders with the rest. There are lots more things that can be done to stop brokers. It's important to note that #3 does not require the lessor to charge the drivers the exact same gate as the color scheme's schedule. The lessor can charge as much as the color scheme. If a color scheme's gate is $125.00 on Friday night and $67.50 on Saturday morning then the lessor can charge as much as $125.00 on Saturday night and as much as $67.50 on Saturday morning but they can discount the gates as much as they like. ... once these companies are closed down there will be much less corruption. DON'T LISTEN TO THIS GUY FROM DESOTO! SEEMS LIKE THE TAC JUST WASTED AN ENTIRE SESSION ON DISCUSSING SOMETHING THAT DOES NOT EVEN MAKE MUCH DIFFERENCE TO THE INDUSTRY. ARE YOU IN YOUR SENSES... TO BELIEVE PEOPLE PAY MORE MONEY FOR THE SAME NUMBER OF HOURS? WHEN DRIVERS PAY 165 OR 175 THEY GET THE CAB FOR TWO SHIFTS. OF COURSE IT IS ILLEGAL TO DRIVE TWO SHIFTS AT A TIME. IS THIS MATTER WORTH A 3 HOUR DISCUSSION? NO DRIVER IS FOOLISH ENOUGH TO PAY 175 FOR 10 HOURS. The apparent unanimity of this decision was probably compelled: it represents the industry putting up a necessary facade, which is probably good, if and only if the industry then lives up to the positive image it is projecting. Most people believe the brokers pay kickbacks to the companies. This is NOT stray gossip - I have heard this mentioned very many times and by pretty reliable people; I have heard kickback figures quoted varying from $300 to $2000 per month (actually I have heard much higher ones too; also about hefty up-front bribes). The companies couldn't vote as though this were the case; apparently, or perhaps, this means they are going to let go of this practice. So, in effect, by biting the bullet, the companies have voted themselves an amnesty. There is worse behavior in the universe... if the abuses stop, the situation will be better than before. The companies will then appear to "prosecute" offenders who don't change cabs at the company, etc., and other of the more quantifiable offenses not central to the main, monetary and licensing corruptions, and they will probably get rid of inconvenient witnesses by then firing them on these ancillary pretexts. There have been serious social imbalances in the industry, between drivers with legitimate deals, and those without legitimate deals; the ones without legitimate deals, who have been leasing through brokers, have been more suceptible to social pressures, and the acceptance of illegalities, from their nearest peers, rather than more normal industry pressures. I hope this decision means this imbalance will stop. The deeper abuses against the drivers and the public that this decision could stop are those Ed Healy mentioned in passing, such as subleasing practices that are deeper than the legal "three-tier" ones, which have led to several cases of drivers working without A cards or even a Drivers License. These can't be good working conditions, obviously aren't safe, and no doubt reflect insurance quirks that are also things nobody wants to talk about. The decision doesn't appear to consider these problems, but if properly effected, it should. What's it like driving in Vegas?